A disturbing trend of safety lapses by trains running on Central and Western network has emerged. According to official records accessed by Mirror, trains in Mumbai jumped red signals on 70 occasions in the past three years, as against an all-India figure of 168 for the same period. The violations assume significance considering the fact that over 70 lakh Mumbaikars use the trains every day and that most of the trains have been connected with the automatic warning system (AWS), which can stop a locomotive in case of an unauthorised movement. Central and Western railways run nearly 2,900 services a day. Called signal passed at danger (SPAD) in railway lingo, the incidents are the result of a number of factors - technical and human error. Senior railway officials said they are constantly making efforts to minimise risk and the occurrences. Between 2013 and 2015, 39 cases of SPAD were recorded on the Western line, while the Central railway saw 31cases of lapses. An SPAD can result in a minor derailment or spell a disaster, in the form of a collision, if a train is moving fast. The numbers also show that maximum number of SPADs happen in Mumbai, about 41 per cent, in the country Officials said not all SPADs cases can lead to a mishap because they are the result of minor misjudgements of distance or braking, or when a train is moving very slowly. In most cases, the trains stop within the safety overlap provided at the signal, said a senior officer from Central railway. But the figures startled commuters. "High number of SPADs in Mumbai is a very serious issue. The railways should take it seriously because it concerns with safety," said Subhash Gupta, a member of the zonal railway users consultative council committee. 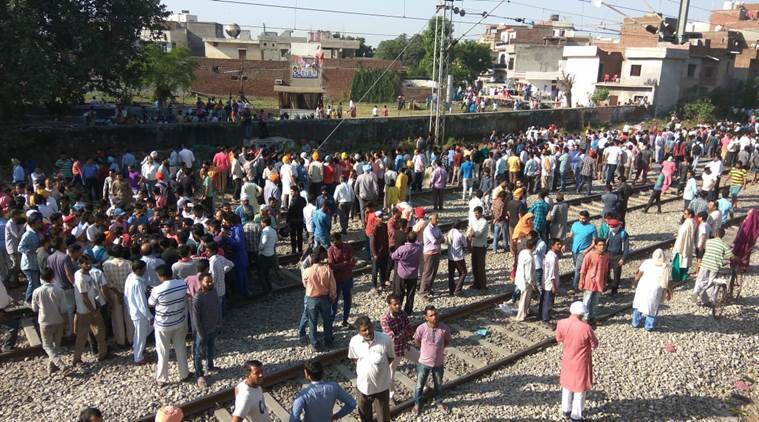 "The actual risk associated with an SPAD depends on many factors, including whether there are controls in place to stop a train from moving ahead, how far a train has travelled into another block or whether that block is occupied by another train," said Subodh Jain, a former member of engineering, railway board. The ex-official also attributed the higher number of SPADs to a large number of signals in Mumbai. A train can jump signal due to a host of reasons such as inattention, fatigue, misreading of an adjacent signal due to line curvature, miscommunication with a signaller or a poorly lit signal, said a senior railway official. "Unusual happening in the mid-sections are also one of the reasons and they create a lot of pressure on train drivers."